← Don’t Break The Table! A couple of weeks ago I made the decision to spread out one week’s worth of work over a week and a half. Valentine’s Day was on Monday, our busiest day with enrichments and next week is only 3 days because of President’s Day + one. My plan would give us extra time to do some fun activities that always seem to get lost in the busy month of February. We could have a bit of fun and also be a bit more relaxed. We have already had a visit from the dentist to talk to us about dental health but I haven’t had the time to have my class make the teeth puppets that are always a big hit. 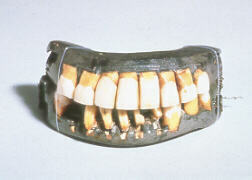 It seemed kind of silly to back track on dental health when President’s Day is just around the corner. 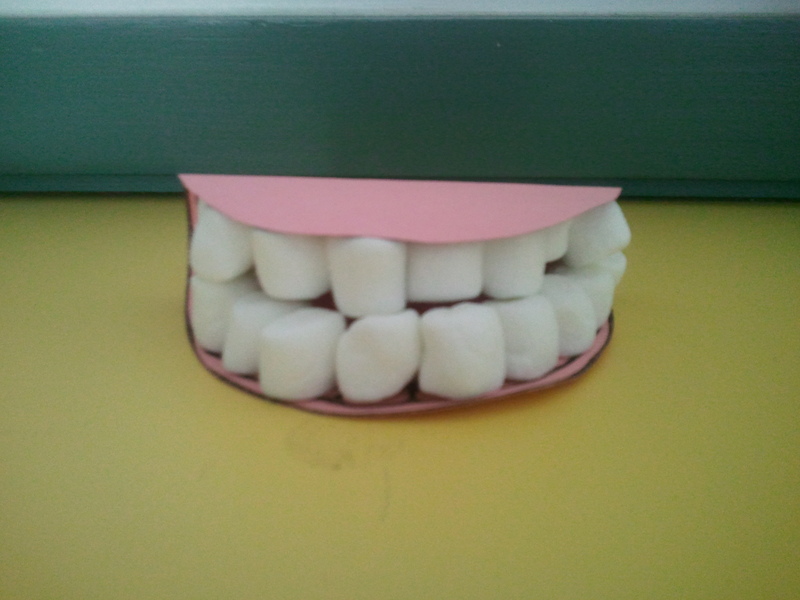 At some point in my lesson planning I decided to combine the two and the teeth puppets became George Washington’s dentures. Naturally, this led to an internet search for a picture of the actual dentures which led to George Washington’s denture trivia. I know, they are a bit disgusting to look at. These babies were not made of wood but metal, wire, ivory, bone, gold, and animal and human teeth. One tooth was actually his own. The upper and lower plates were connected by springs. They were uncomfortable to wear and if he relaxed, his mouth would pop open. 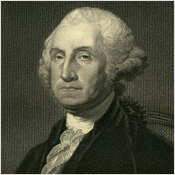 His dentures distorted his face and are believed to be the reason for his stern look in so many of his portraits. When he was 19 he had all of his teeth. But as an adult, it was toothache, after toothache. The cure was to pull them and finally by the time he was inaugurated as the 1st President of our country, he had only one tooth left. Even though he didn’t have the best dental habits, he made sure his horse’s teeth were brushed every day. The father of our country was toothless! That was shocking news for 6 and 7 year olds. So for our final project of our Presidential/Dental connection, each child to wrote young George a letter telling him how to take care of his teeth so he would’t lose them. If they follow their own advice they will be smiling a full set of pearly whites for years to come. This entry was posted in Notes from the teacher's desk and tagged dental health, education, George Washington, lesson plans, Notes from the teacher's desk, Presidents, tooth puppet. Bookmark the permalink.